Work’s big boss was in town to visit and he wanted to have dinner with our team to get to know us better so guess who was in charge of finding a place? You got it! It was me! I looked through my wishlist and saw Seamstress. So I made a booking for a Wednesday night and headed on in. The dining room was on the second floor and the bar was on the third. There were sewing machines displayed (totally forgotten to take a photo). It was a lovely setting, very warm and homely with lots of intricate decorations hanging around which surely impressed Work’s big boss. When we all finally arrived (tsk tsk) we took a looksie at the menu and decided on the having the $65 pp sharing menu, banquet 1 (you gotta always have dessert with your meal!) and waited patiently for the dishes to come out. 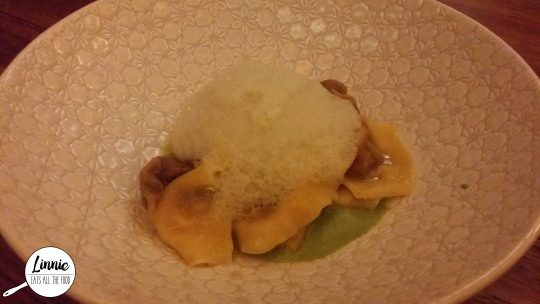 First up was the snake bean & golden sweet potato poached wonton with pea puree and coriander foam. Now, this dish was absolutely AMAZEBALL. It was quite light and when you eat everything together, it just worked. Never thought that wonton could have anything except for meat (you can tell what I like in my wontons). Not your traditional wonton but we LOVED it. 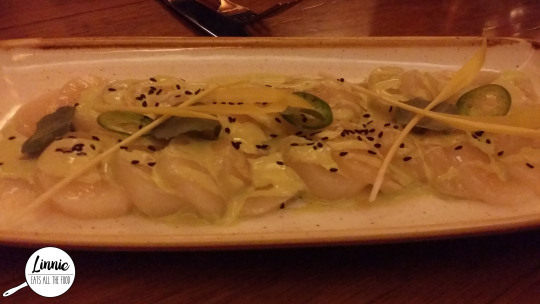 When a plate of scallops sashimi with saltbush and jalapeno dressing, I drove my fork into that plate immediately. Now, this has a kick to it and as you know, I can’t handle my chili at all (even hot and spicy KFC wings are way too much for me). But everyone else on the table thought it was just a tingle. Aside from the chili debate, it was very fresh and light.Loved the flavours and LOVED it! 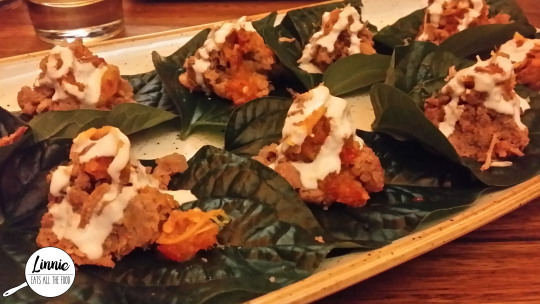 The last of the entrees came out, sticky duck betal leaf with balinese sambal. The first question from my work mates were: do we eat the leaf? Well, yes you do but if you eat too much of it, your teeth will become a reddish colour but that’s only if you eat it kilos and kilos of it. Anywho, so you wrap up the duck into a ball with the betal leaf and throw it all in your mouth (that’s what I did anyway). This was a tad on the salty side and quite dense. I wasn’t a big fan of it which was shame because I love little things in betal leaves. 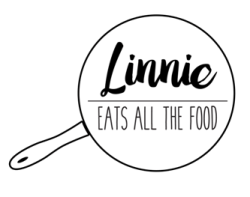 We were quite impressed with the entrees and were really looking forward to the shared mains. 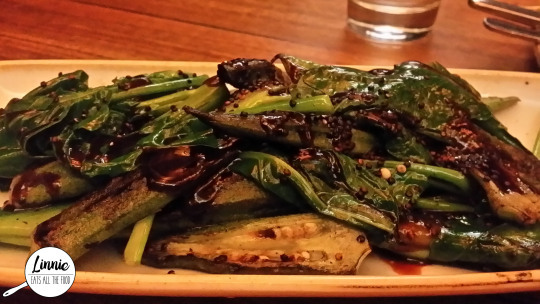 One of the dishes included the wood fired veggies with okonomi sauce. The veggies included okra (lady fingers), bok choy and beans. The sauce wasn’t evenly distributed and it some pieces were much saltier then others. the veggies were cooked perfectly though. 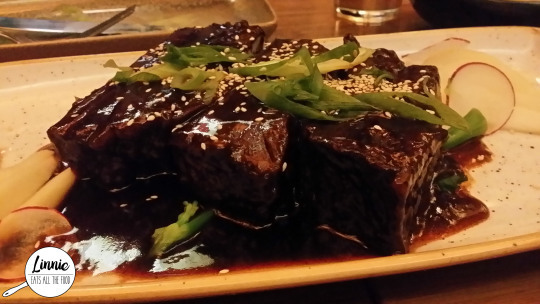 There was also one plate of braised beef short ribs. Now, we had 9 people on the table so this one dish of beef was clearly not enough even with a side of rice. The beef was cooked to perfection, very tender and just fell off the bone. It had shoya sauce with it and worked very well with the jasmine rice. 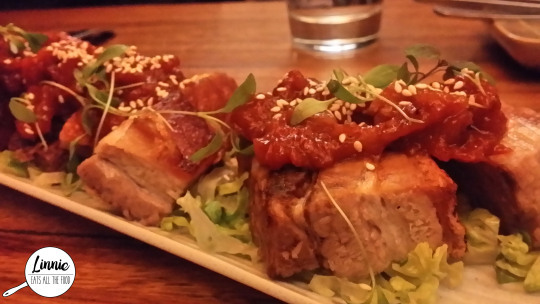 If you love your pork belly then this is the dish for you. The BBQ Pork Belly with ssamjang pineapple salsa. This did not feel fatty at all and had a little crunch at the skin which is what everyone looks for. The pineapple salsa? It was divine. Great pineapple flavour to complement the meat. However, this was the same as the braised beef, each person had two little pieces of pork belly each which was very disappointing. My favourite part of every single meal, dun dun dun, DESSERT! Lets start from left to right. The peanut and mango chocolate brownie was super sweet and super rich. It was’t my cup of tea and I moved on. If you’re into brownies, this would be amazing for you. The cointreau mousse was next in line and this was FANTABULOUS! This, I was happy to eat it all by myself (sorry guys, no sharing is caring here). Very rich, very smooth and bursting with chocolate. I did find it quite dense and not the usual fluffiness which you look for in the mousse. Finally, it was the chili truffle. This was really YUMMILICIOUS but it did get sickening after a while due to it’s richness (there seems to be a trend with richness here….). 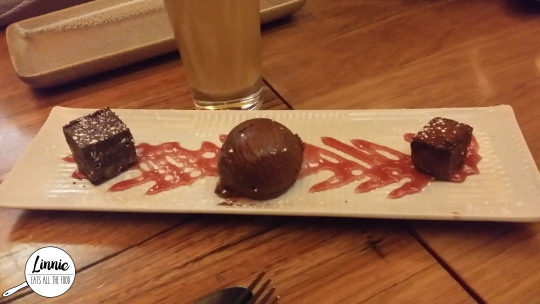 I think it would have helped if they also came with a dollop of vanilla ice cream to complement the richness of the brownie and the truffle. Finally, the last dessert for the evening – doughnuts with yuzu curd and candied popcorn. Now, I’m a super duper ginormous fan of yuzu anything but I found that it did not match the doughnuts at all. 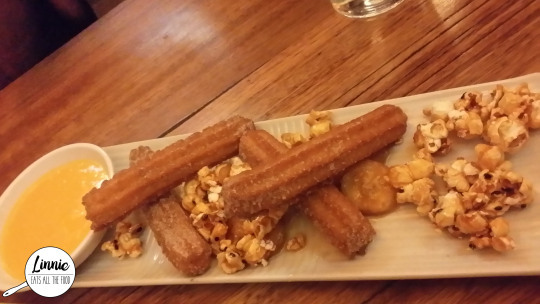 They were churros and it just didn’t work. I was really looking forward to this dish as well which was a shame. 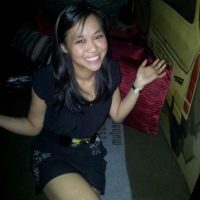 Seamstress has a beautiful decor and ambiance where it’s inviting with very attentive and friendly staff. The entrees were absolutely mouthwatering but when the mains came out, we found that there wasn’t enough food to go around for everyone. 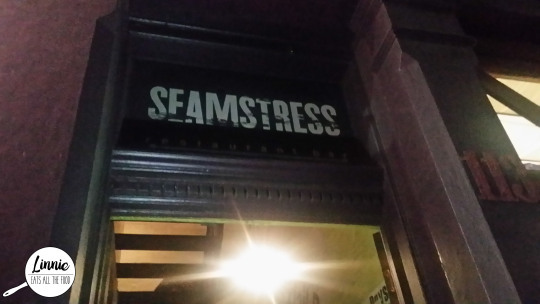 Seamstress, I probably visit a few places around the area before I’ll come back and the reason I’ll come back is to check out the bar upstairs.